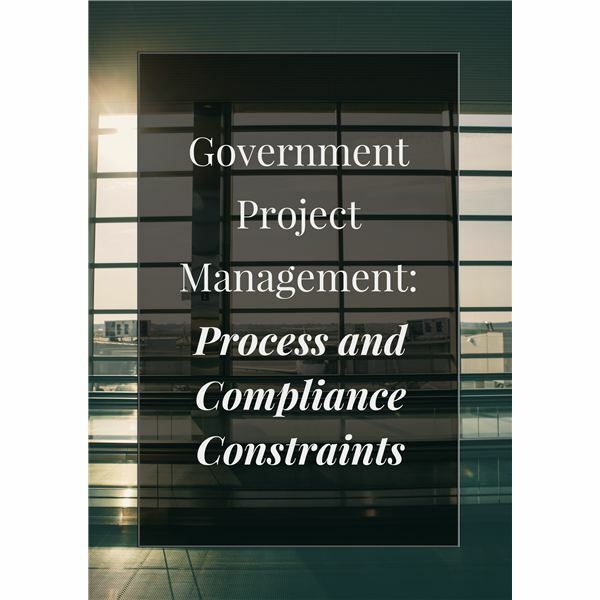 There are many ways that a government project displays the process orientation. Following are a few examples. Many government projects require EVM. This can be good and can add extra discipline on the projects. However, in an environment with numerous rules, lack of flexibility, payments based on time and material and limited financial motivation, it is not easy to give a true measure of the health of a project. For example, since most government contracts with service providers are time and materials, how can you equate budget expended to work accomplished? As with EVM, government projects have a tendency to attempt to leverage best practices. The problem is that often those processes are incompatible with other required processes. For example, some contracts for software development (and other related work) require that agile methods be used. However, this conflicts with other requirements pertaining to development of requirements, scheduling of work, and testing and approval of the final product. In the end, such conflicting requirements add a whole layer of work to a project. As best practices are added, some old practices usually need to be are eliminated. The formality of buying services in such a large enterprise as a government is necessarily complex – but does not necessarily get the job done optimally. RFP’s are done to promote competition and fairness and to give more control to the government buyer. However, the complexity of submitting an RFP, with limited chance of success, is costly to any service provider. As a result, the field of competition is not so wide open as it is in industry, and incumbents have a tremendous advantage. Instilling best practices into a government organization, from my experience, is very challenging and typically brings very mixed results. What has been your experience?